It’s workout time! 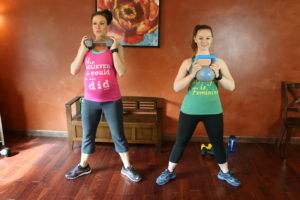 I have a brand new workout for you today! I got to film with special guest, Nicole, today. 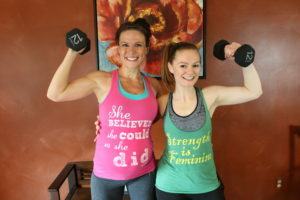 I love being able to share my workouts with friends. 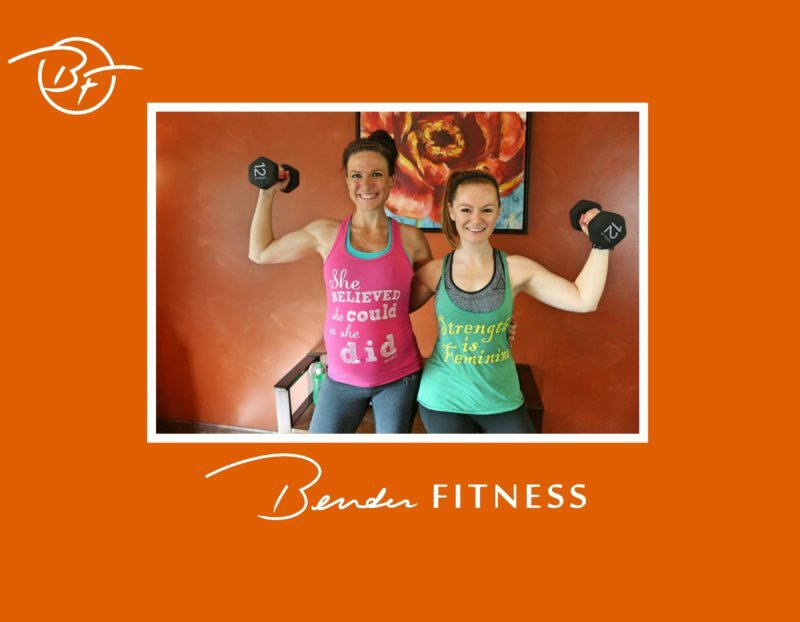 Nicole has joined me for several workouts in the past, and it was fantastic to have her back! 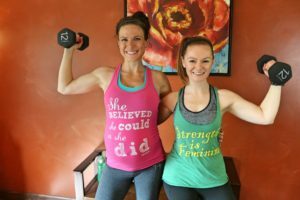 This workout is pregnancy safe (I am now 36 weeks pregnant! ), but still great for those of you who aren’t pregnant! Both Nicole and Jesse did this workout. They enjoyed the exercises and found them challenging. Jesse increased the intensity by using a barbell with heavier weights. 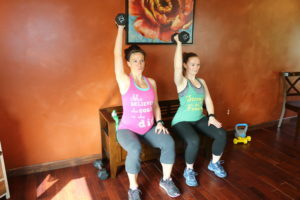 Nicole and I use dumbbells in this workout, so be sure to choose a weight that is challenging for you. 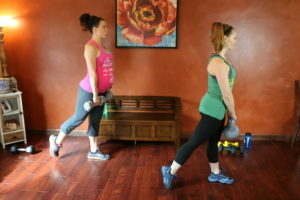 I used 20-lb dumbbells for all of the exercises except the curl and press, which I decreased to 12-lbs. Work to your own level, but don’t be afraid to challenge yourself. Increased muscle = increased metabolism and greater calorie burn for everything you do. Woohoo! Ready for another round? It’s so inspiring seeing you sharing your passion with the world! 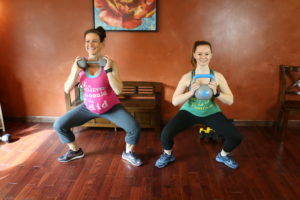 Yay fit mama! Definitely full body! I am feeling this, and it feels awesome! Great upper body workout. Thank you! Also, LOVE your tank; where’s is from? Love this! <3 Thank you for this workout! Many thanks for sharing your knowledge; this was a great work out for me being nearly 28 weeks. Found since being pregnant, I have almost trebled in lack of energy. I miss my push-ups but found doing the inverted ones like you showed did not put strain on my back. Great stuff.. Thanks again.